It’s finally time to enjoy nature’s playground again – and what better way than by heading out to the desert for some adrenaline-fueled fun? 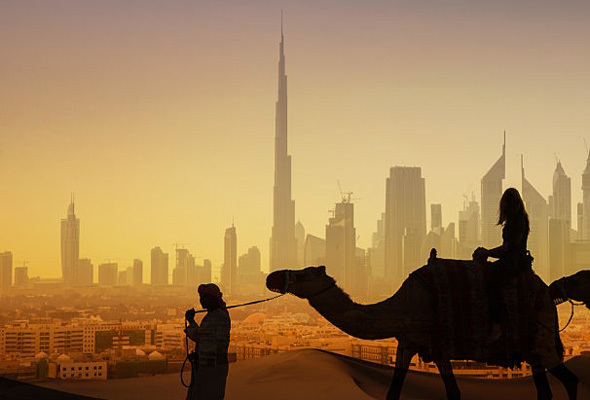 Here are seven desert adventures to try in Dubai. While you can definitely get a thrill motorcycling in Dubai during rush hour traffic, the desert dunes will give you the good kind of adrenaline rush – not the kind that makes you yell at tailgaters on the street. 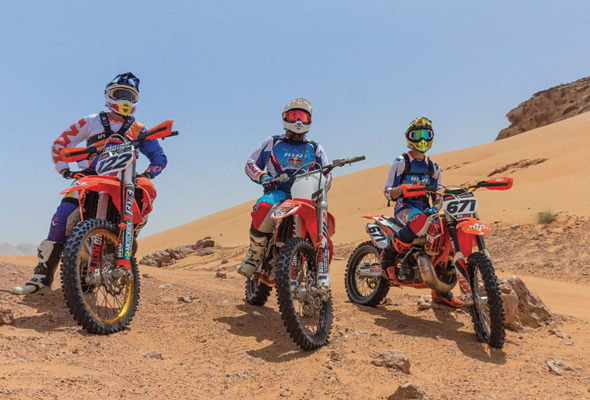 Dirt biking – or motorcross – might look like it’s only accessible to people who have a motorcycle licence, but the team at Big Red Motorsports offer beginner courses to anyone who wants to give it a go. The four-week course covers all the basics, from gear handling to steering, to help you move off the go-kart track and into the desert. Beginner courses start at Dhs2,100 and take place for three hours every week. Nothing beats the thrill of taking a dune buggy across the empty desert. Hop inside the beastly Maverick X3 Can-Am four-seater, throw on your helmet and protection mask, and let loose. Don’t be surprised if you get a bit stuck though – it’s all part of the fun. 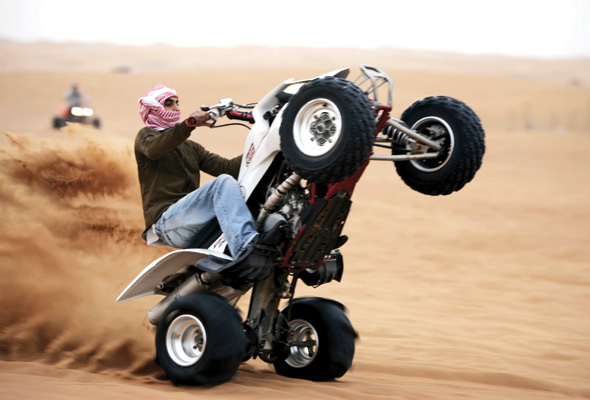 Dune buggy sessions with Arabian Adventures take place twice daily and cost Dhs1,200 (private) and Dhs695 (shared). If a dune buggy seems a little too intimidating, get a group together and do a quad bike safari instead. You will be given a basic briefing at the start and then you and your team are on your own for 50 minutes. 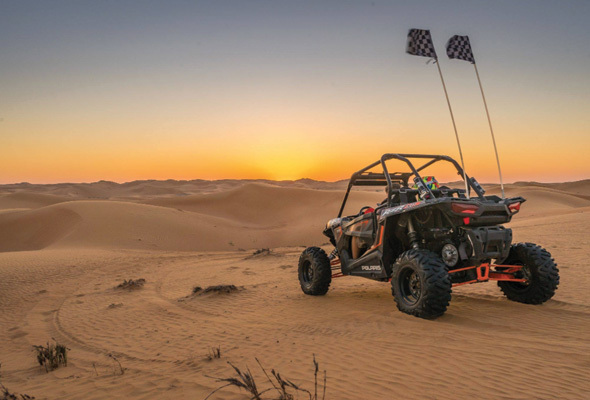 A morning quad bike safari with Dune Buggy Dubai costs Dhs400 per person and includes unlimited soft drinks. 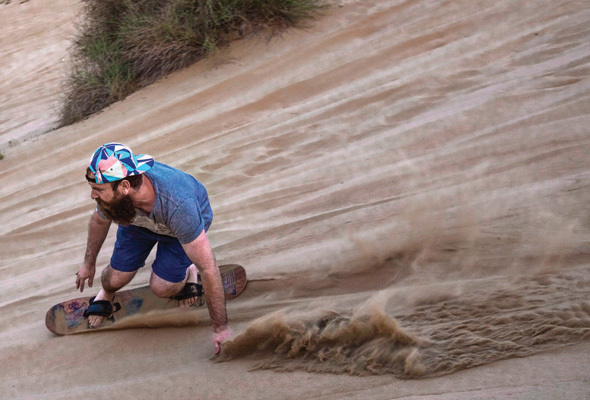 You think you’ve seen it all until you see someone race down the dunes on a board. Pick up your own sandboard from local heroes Above Sandboards (available at Go Sports for Dhs695), who make theirs here in the UAE, then walk up the nearest sand dune. We suggest heading for Al Qudra where the sand is compact. Join North Tours for a camel safari across the Hatta Mountain terrain. You can sit back and take in the surroundings as these hump-backed creatures trek through their turf. North Tours picks you up from Dubai in a 4×4 at 8am and drives you to the camel farm, before you embark on a 45-minute ride over the mountains. From Dhs350 per person. If you’ve got the right guide, a walk through the desert can be a brilliant, and safe, experience. Arabian Adventures’ evening safaris take you into the Dubai Desert Conservation Reserve. You’ll be given night-vision goggles and a black light to hunt for nocturnal creatures as you trek through the dunes. 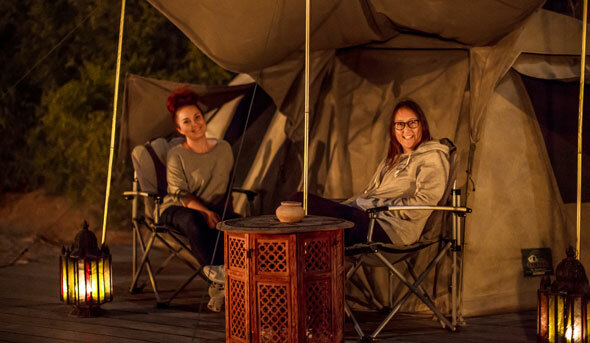 Arabian Adventures also tags on an overnight stay in its glamping grounds for Dhs1,020 per person. 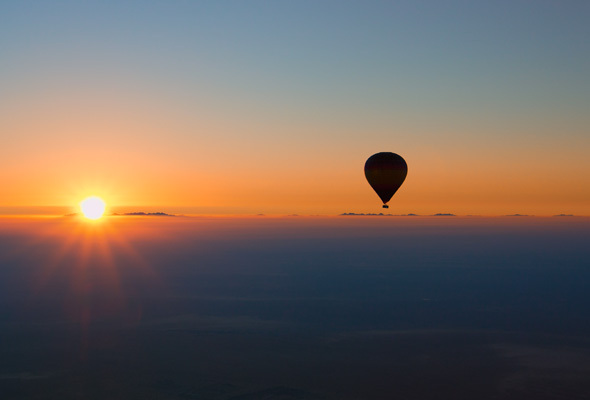 See the desert from a basket some 4,000 feet high. You will also get to enjoy the company of two falcons, who travel up with you and their handlers before they are let loose to circle your balloon. This adventure is a collaboration between tour company Platinum Heritage, hot air ballooning experts Balloon Adventures and falconry team Royal Shaheen. After you land, you’ll ride in a 1950s Land Rover across the dunes to a Bedouin camp. Prices start at Dhs1,195 and Dhs1,045 for children.